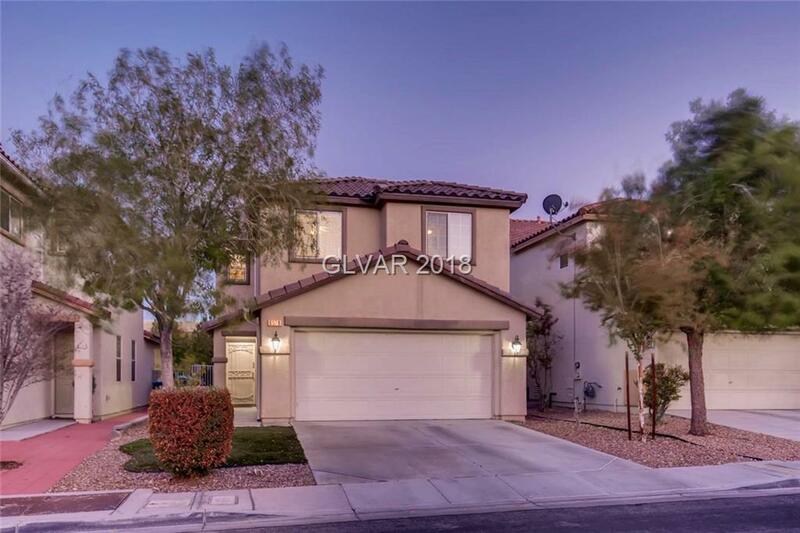 This gem is in the perfect location--minutes from the 215, at the end of a cul-de-sac, and in central Southwest part of the Las Vegas Valley. Close to shopping, dining, and amenities. Upgraded tile floors, blinds throughout, Whirlpool/GE appliances, open floor plan, den/office downstairs, loft upstairs. Ceiling garage racks add additional storage. Deep freezer, backyard BBQ, minibar/ice chest, and backyard furniture included with the sale!